Essentially, game theory consists of experiments to explain human behavior. It has been researched in various forms by behavioral psychologists and economists. Several aspects seem applicable to family law. One such aspect is the ultimatum game, which I’ve written about in my book. 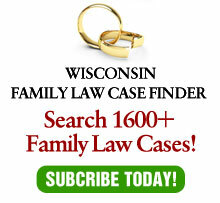 An excerpt was recently published in the American Journal of Family Law and can be accessed below.